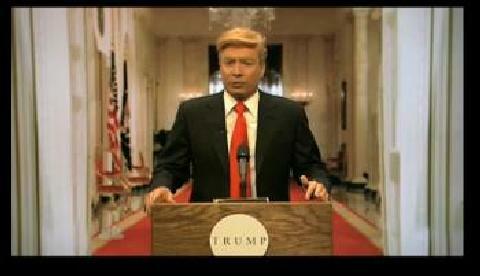 Jimmy Fallon as Donald Trump taking credit for Osama bin Laden's capture. *While Donald Trump has spread his share of lies, one of them is DEFINITELY not that he had anything to do with Osama bin Laden’s capture and death. But no one would see it as a great leap if that was reported in the news, right? He’s boastful and bold and lacks any discretion about himself. But, simply put … he ain’t that crazy! But Jimmy Fallon is!